Licenced two way mobile radios can be used for a variety of applications, either on the move or in an office or warehouse environment. They can be fitted in any cab regardless of the power source, vehicle type, or location. They can also be utilised as a static solution when incorporated with a power supply, and used as a dispatcher, fixed or desktop unit. We do not charge for helping you with your licence application, and we can also manage the licence - making payments and renewals on your behalf. The IC-F5012/F6012 series has 8 channels. The P0-P3 programmable buttons allows you to customise the radio to suit your needs and convenience. Up to ten 2-Tone or eight 5-Tone codes can be decoded on a channel. Features such as stun, kill, revive, answer back, auto TX, scan, audio output are programmable to respond to each tone. 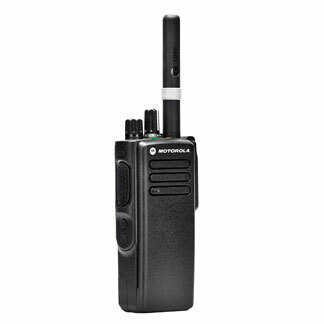 The GM340, one of the market-leading radios in Motorola’s Professional Series, offers simple and effective communications for organisations that require an affordable communication tool for their mobile workforce. The radio offers essential functionality and security features to protect users working alone or remotely. The TM8110 and TM8115 are robust, software-ﬂ exible radios which are ideal for a wide range of voice and data applications. The TM8110 comes with 10 conventional channels and one-digit display. The TM8115 comes with 100 conventional channels and two-digit display. The VX-2100E (8-channel) and VX-2200E (128-channel) series mobiles are full featured FM transceivers designed for flexible mobile communications in the VHF or UHF Land Mobile Radio bands. The VX-2200E mobiles have an eight character alpha-numeric display to manage the 128 channel capacity.